Camilla started her career as a freelance journalist, primarily writing about music and club culture for The Face magazine. She then moved across into TV production, working as a Producer and Director for Uden Associates on a range of TV documentaries and arts programmes. She joined the Arts and Music department of Channel 4 in 1999 where she soon rose to become Editor, Arts & Animation. Camilla left Channel 4 in 2002 to set up Lupus Films with colleague Ruth Fielding. 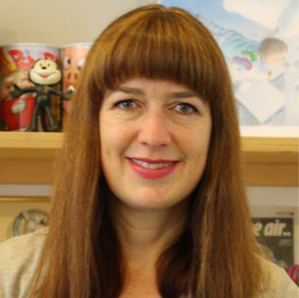 Camilla has produced both animation and live-action shows for the BBC, Channel 4, Five, ITV and Disney as well as Executive Producing a number of short films for Channel 4 and the UK Film Council. Productions include popular CG pre-school show ‘The Hive’ for Disney Junior, which is shown in over 150 territories worldwide; ‘The Snowman and The Snowdog’, a half-hour Christmas special which attracted over 11 million viewers when first broadcast on Channel 4 in 2012; ‘Ethel & Ernest’, a 90 minute animated feature film based on an award-winning graphic novel by Raymond Briggs; and ‘We’re Going on a Bear Hunt’, a half-hour animated adaptation of the much-loved internationally best-selling children’s book for Channel 4.